And people with color blindness are encouraged to try the Adjust for colors for red-green vision deficiency option (protanopia, deuteranopia). 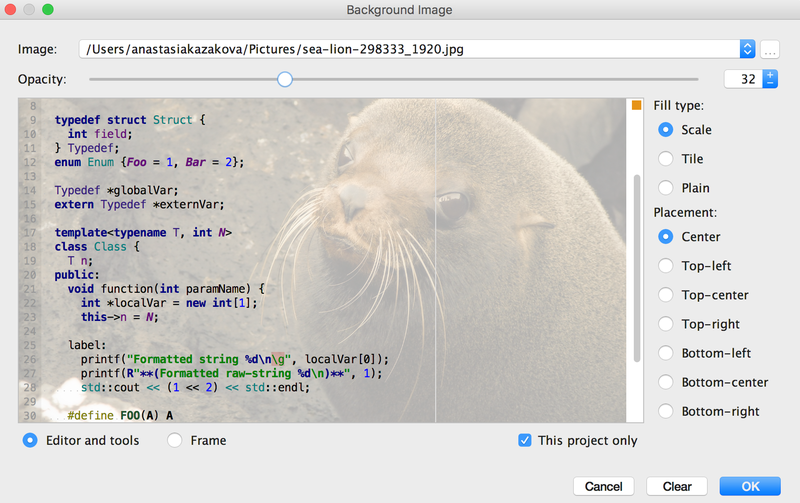 To spice up your editor’s look, set a custom background image. Open Find Action dialog (Shift+Ctrl+A), type Set Background Image, select an image and configure its settings in the dialog that appears. If you a fan of fonts with ligatures (e.g. 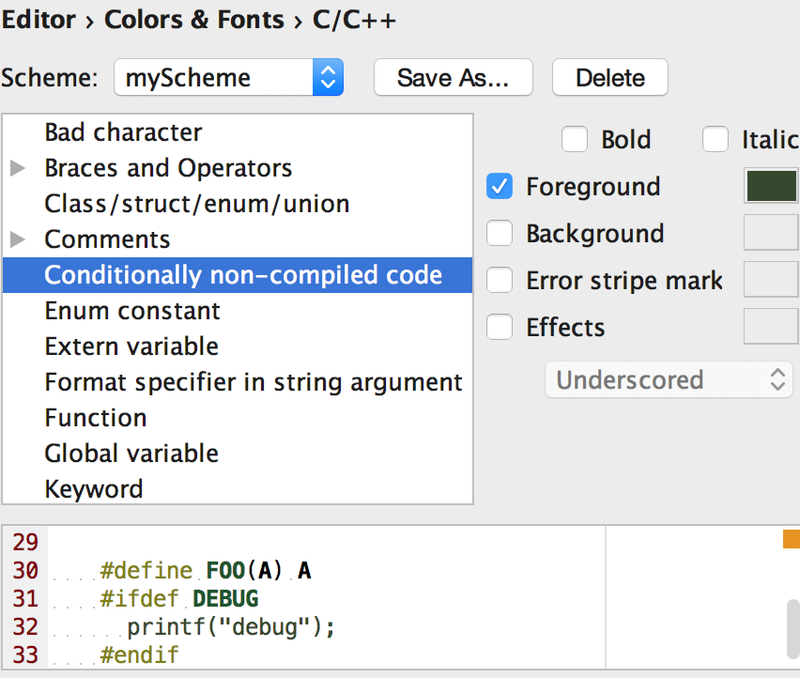 FiraCode, Hasklig, Monoid or PragmataPro), go to Editor | Colors & Fonts | Font settings, choose a corresponding font, and select the 'Enable font ligatures' option. 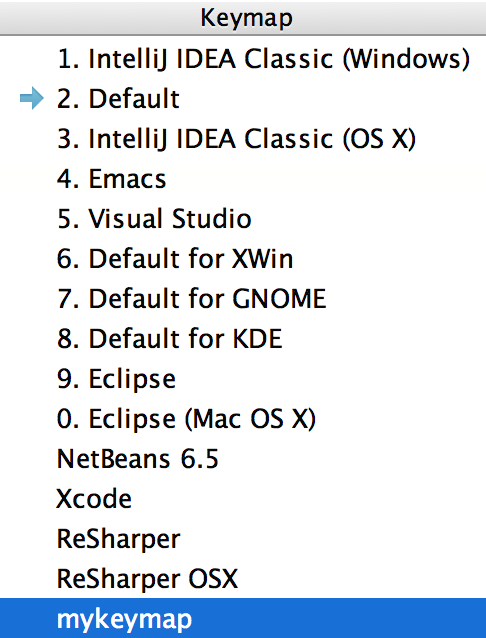 FiraCode is bundled into CLion by default. To understand how the data flow through the code at a glance, Highlighting each variable/parameter with its own color can be helpful. Colors are kept unique inside the body of a function or lambda, and identifiers with the same name are assigned the same color. 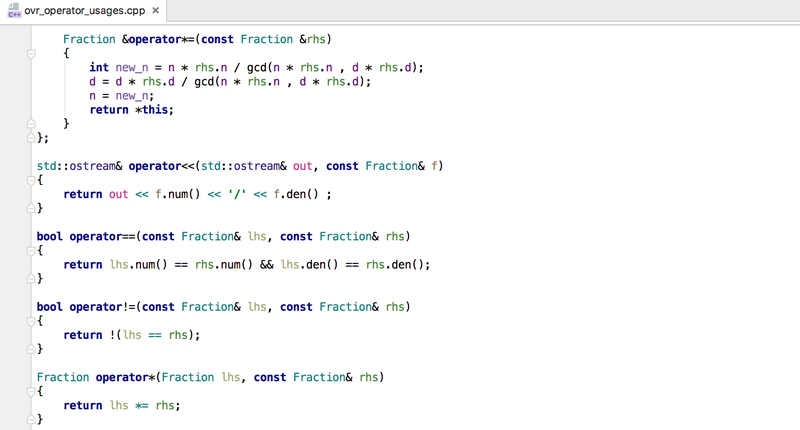 To try it on, turn on semantic highlighting in Editor | Color & Fonts | Language Defaults.